The First-Year Counselors, all of them Trumbull seniors, play a special role in the college. Together with the Dean, they counsel and advise first-year students, living with them on the Old Campus and providing them with academic and personal counseling during the freshman year. In addition to bringing an important peer perspective to their roles, the First-Year Counselors receive special training in helping students adapt to college life. Dean Surjit K. Chandhoke is the Dean of Trumbull College and a faculty member in the Molecular Cellular and Developmental Biology department. She received her Bachelor of Science in Cellular Biochemistry from the State University of New York (SUNY) at Plattsburgh. Her enjoyment of research and teaching led her to pursue her PhD in Anatomy and Cell Biology at SUNY Upstate Medical University in Syracuse, N.Y. Her dissertation research focused on leukocyte integrins, molecules that are important for cell attachment and adhesion. Her love of microscopy and the cytoskeleton led her to Prof. Mark Mooseker’s laboratory in the Yale MCDB department in 2007, where she pursued postdoctoral research on a myosin motor protein (Myo9b) implicated in inflammatory bowel disease. From 2012-2016, she served as a course coordinator for the foundational Biology (BIOL) modules here at Yale. 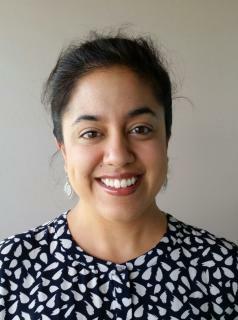 Dean Chandhoke lives in Trumbull College with her husband, Gurbakhshash Singh, who is an assistant professor in the Department of Mathematical Sciences at Central Connecticut State University. 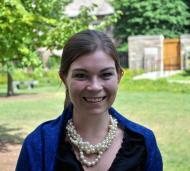 Leah Jehan (leah.jehan@yale.edu) is the Dean’s Senior Administrative Assistant. She has been at Yale eleven years and came to Trumbull College after previously working at the Beinecke Library and the Yale Department of Music. Originally from Guilford, Connecticut, Leah now lives in North Haven with her husband, Thiago, and their two children, Noah and Olivia. When not at work, Leah is busy playing with her young children, but also enjoys reading, going to concerts (she is a former violinist! ), and traveling with her family.